Today, I am back with another card using the new stamps from Winnie and Walter. 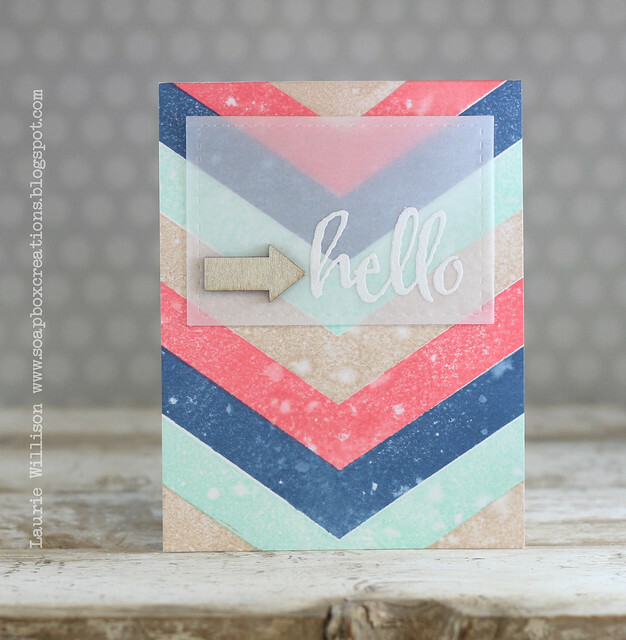 Today's card features stamps from It's a Wonderful Pennant and The Big, The Bold and Seasons. I did the same kind of technique I did on the card from Monday. I inked up the image and the spritzed the stamp with water and then stamped the image. I gave the pennants a ROYGBIV look here. I popped up the stamped card stock on foam tape. I stamped the "celebrate" on a banner and matted it with a sliver of black card stock. 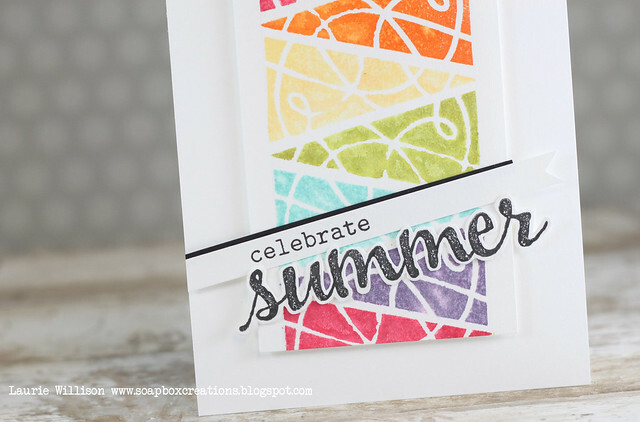 I stamped "summer" and then cut it out by hand. I attached it all on the card front and then to finish it off, I used some Frosted Lace Stickles to give it a little sparkle. 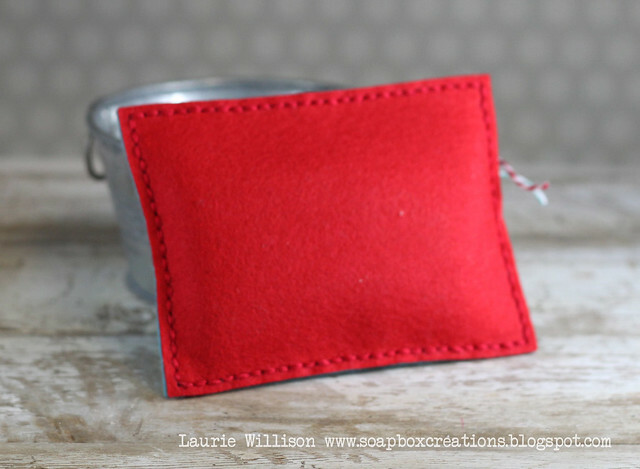 So if you saw Monday's post, you know I have a $30 Winnie and Walter Gift Certificate to give away this week. You have 3 chances to win! Comment once on each post and then Saturday, I will announce the winner. Hope you are having a good week! It's flying by here. It makes me sad that summer is more than half over. We have had really cool weather here and we have really enjoyed being outside. I am headed out there now! Thanks so much for stopping by today! I used the Ombre Builders to make the background. I stamped the first lined image in Pure Poppy and then stamped off 3 times. I heat embossed the first sentiment with Filigree Embossing powder and then stamped the second sentiment in Fresh Ink Provincial Gray. I added in 2 banner tails (also from the Thank you Kindly dies) out of Linen Vellum from PTI....OMG that stuff is fabulous!! So that is it for today! If you haven't seen it, I have 2 giveaway going right now. 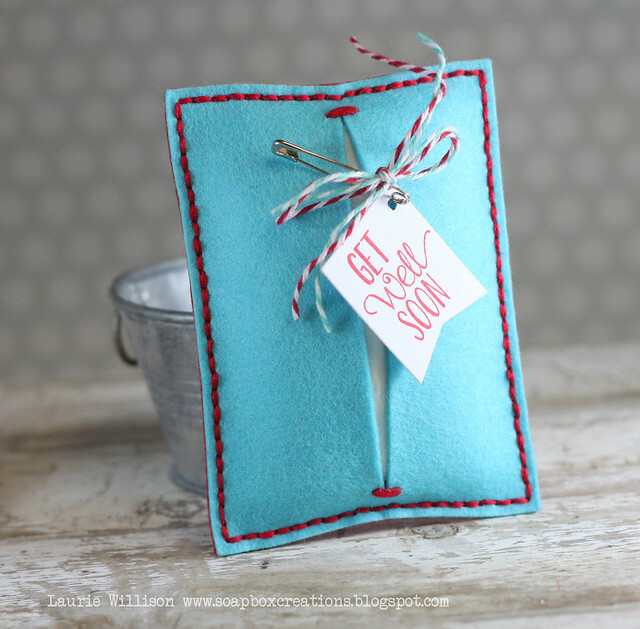 Click HERE and comment to win a spot in the Stretch your Stamps 2 online class. 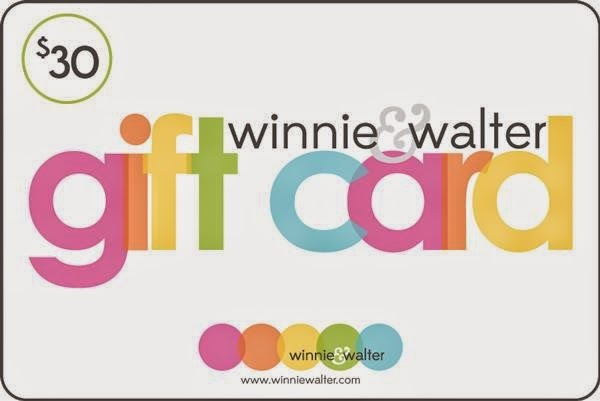 Click HERE for a chance to win the $30 gift certificate from Winnie and Walter. Welcome to my week of Winnie and Walter. 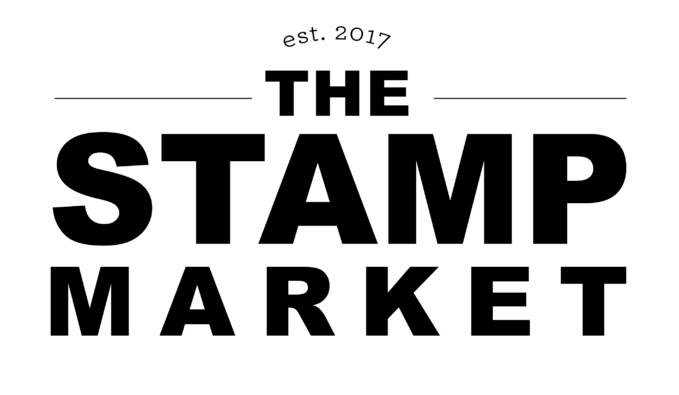 I am excited to be posting 3 days with week, to share the new stamps from this latest release! Hope you enjoy! Oh and stay tuned for a giveaway at the bottom of this post. 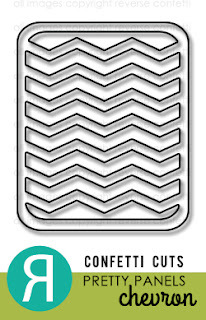 These fabulous new chevron from Winnie & Walter make me SO happy. The set is called V for CheVron. Fun, huh? So I used PTI's Enchanted Evening, Aqua Mist, Classic Kraft and Berry Sorbet for the background. Each time, I inked the stamp up with Versamark first, then the ink color and then I added in a light mist of water. I stamped the image and I was pretty happy with the outcome. Nothing to crazy for me....just a slight distressed look. I stamped and heat embossed the sentiment, from The Big, the Bold and the Happy, on vellum and then added in a wooden arrow for some detail. Now for the fun part! Want a chance to win a $30 gift certificate? I am going to be joining Winnie and Walter on Wednesday and Friday of this week, with 2 more cards to share. Leave a comment on each post for up to 3 chances to win! I will draw a random winner from the comments on all 3 posts and announce the winner on Saturday, August 2nd. Check out the entire Winnie & Walter release by clicking HERE. Thanks so much for coming by today! Hope you have a great Monday! 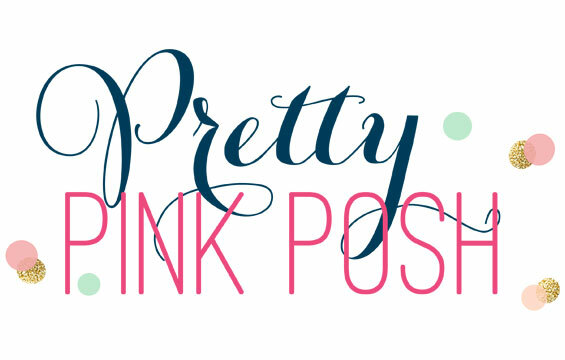 If you would like to win a spot in this amazing new class, leave a comment here. I will pick one winner on Thursday, July 31st and announce it that day! 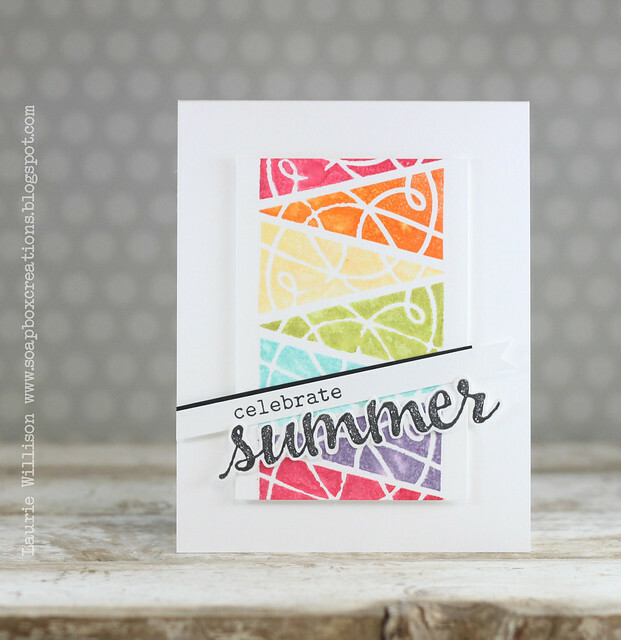 Have you had the chance to play along with the color challenge over at Reverse Confetti? There is still time! 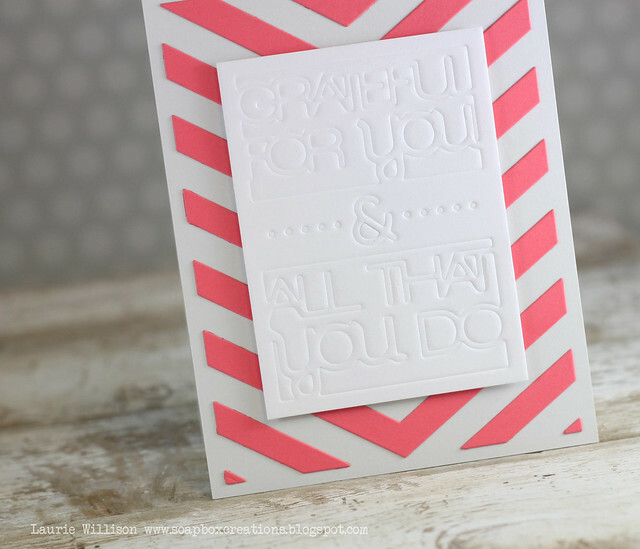 I have a fun little mini to share today, using the 3 colors....Coral, Aqua and Lime. 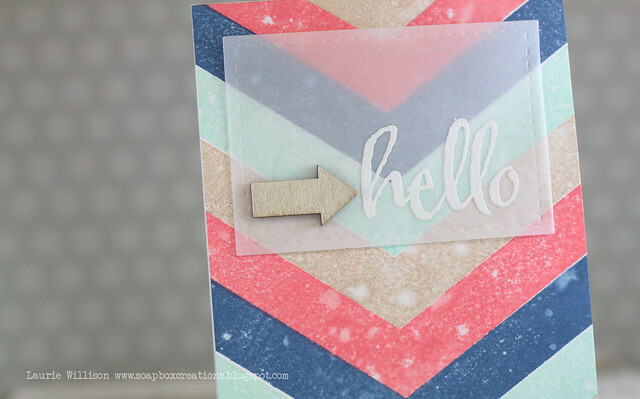 I used one of the new Confetti Cuts and layered it with some white card stock. 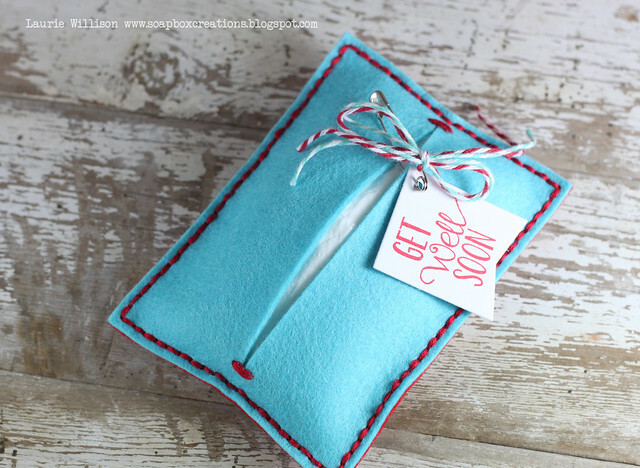 I added in a little tag from Tag Me, and a heat embossed sentiment from Petals n' Posies. I cut the card base, 3 1/2" x 4" and then rounded the corner with my Corner Chomper. For the little pop of coral, I added in an enamel dot to finish it off. 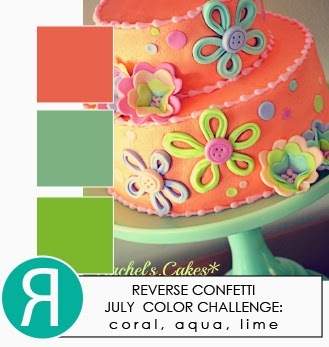 Check out the Reverse Confetti Blog to see some more color inspiration! 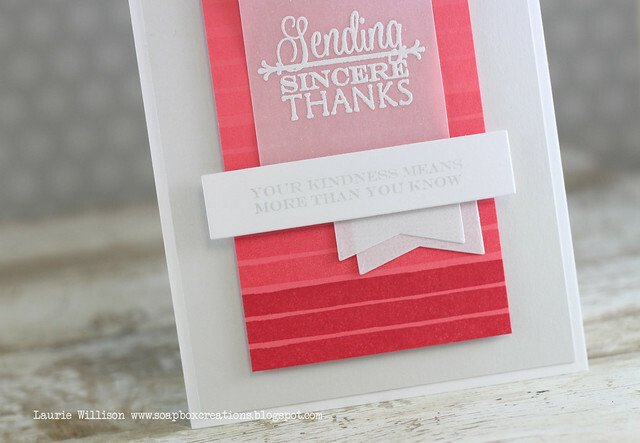 I LOVE using the cover plate negatives and it is so easy to do. I cut out the plate and most of the time, all the pieces stay together. It works great to turn it over and add some liquid glue and the center the whole plate on top of your card base. 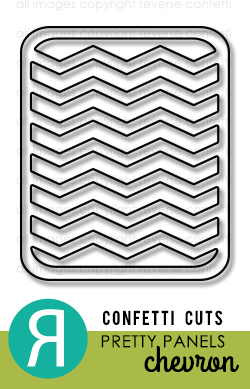 After giving it a couple minutes to dry, you just peel up the outline and you have some fun texture on your card. Next, I ran the text block die through my vagabond using an embossing mat. There were a couple edges that stuck up just a little, but they are easy to smooth out with your bone folder. 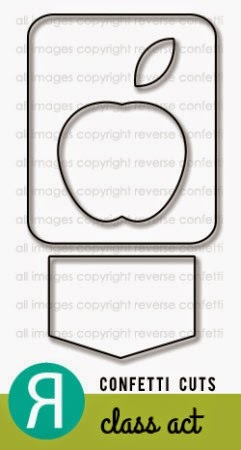 I attached this die cut, after cutting the edges off, with foam tape for some dimension. A quick and easy card for sure! Hope you like it! 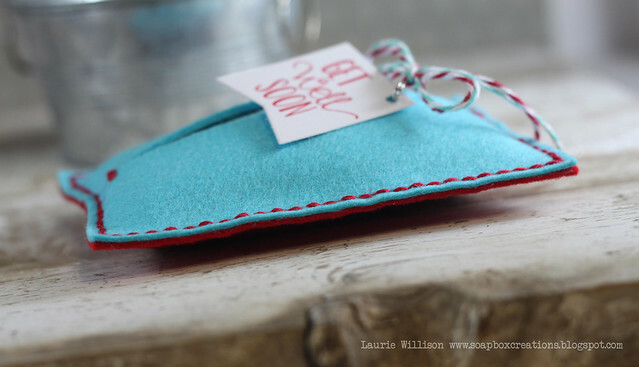 I used Hawaiian Shores and Pure Poppy Felt and stitched them together with some red floss. 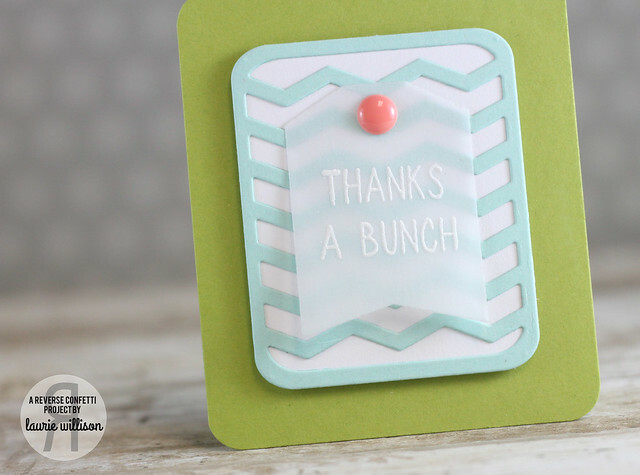 I added in a banner die from the Thank you Kindly dies and stamped the sentiment from Bigger Blooms. I used a ruler and an exact knife to cut the opening before stitching the case together and added some stitches on the end for reinforcing. 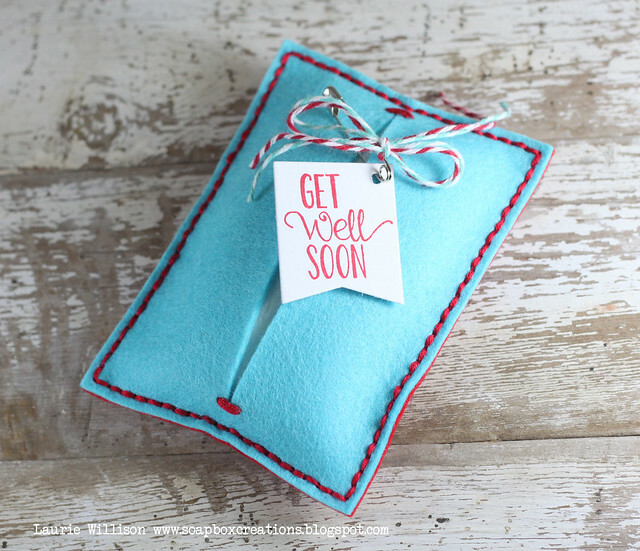 Last, I attached the tag to the kleenex holder with a safety pin and tied a little twine on for the finishing touch. Also, I took the kleenex's out of the plastic and put them inside. The little stack lays in their perfectly. 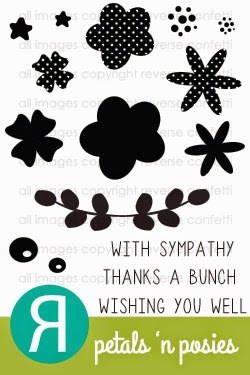 Had to share this very simple gift. 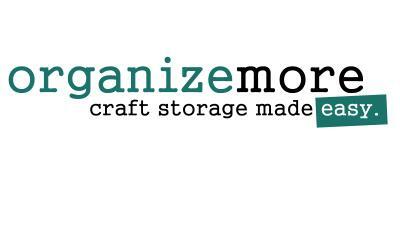 These dies make these projects so fast and easy. I am sure this took me about 20 minutes to put together! 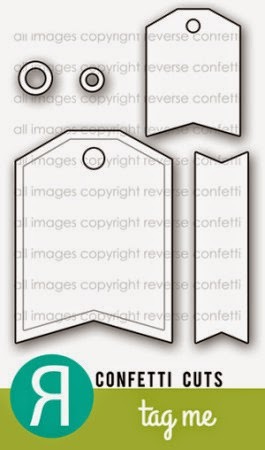 Making a simple tag makes it even faster! Did you get to see the latest PTI release? What was your favorite thing? Thanks so much for coming by! Have a great day!